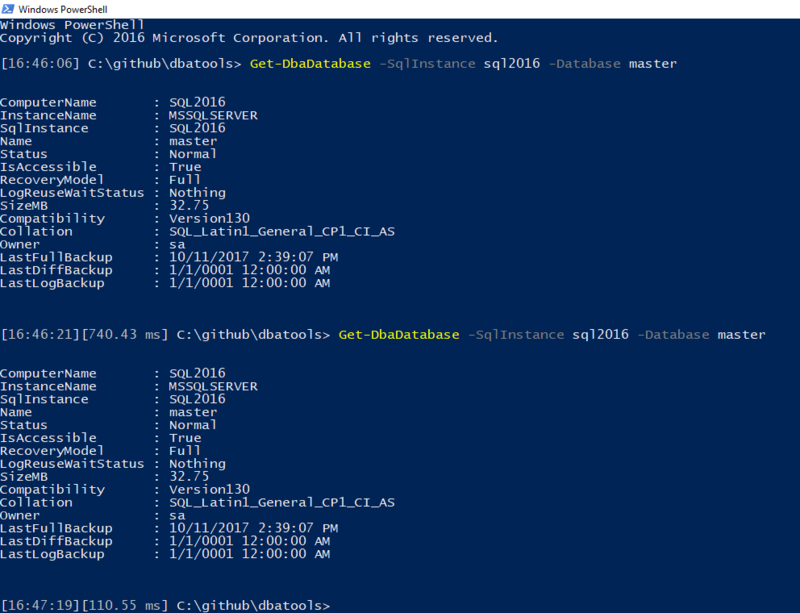 Today’s blog post is part of T-SQL Tuesday. T-SQL Tuesday is the brainchild of Adam Machanic. It is a monthly blog party on the second Tuesday of each month. Everyone is welcome to participate. This month’s T-SQL Tuesday, hosted by my buddy Jens Vestergaard (blog | twitter), is all about the SQL Server tools I use and love. And yep, there’s a PowerShell module to go with it called PSEverything. On my local system, I aliased Search-Everything to locate. You could also do find. When people see how easy it is to time commands, they ask about how I got such a neat prompt. I tell them dbatools.io/prompt. Want it too? Check out dbatools.io/prompt. Documentation is an important part of every DBA’s job and Snagit Screen Capture is my screenshot tool of choice. I don’t know how I ever lived without it. Snagit is awesome for both pics and videos – wayyy better than the built-in (but still useful) Snipping tool. Gone are the days of myquery.sql.bak -> myquery.sql.bak.bak -> myquery.sql.bak.bak2. Now I do real version control with GitHub and I love it. It makes so much sense and GitHub for Desktop gives me the GUI comfort I need when it comes to version control. What’s cool about this client is that it eased me into learning and understanding more about git/GitHub. I didn’t have to learn syntax + the whole concept of branching, repos, etc. I only had to learn the concepts and the easy GUI interface. One day I’ll do command-line, but that day is not today. It snaps better to areas better and even comes with a built-in editor that lets me easily add arrows and do cropping. SnagIt costs money but is well worth the investment. Sometimes, I need to get a little fancier with my screenshot edits and for that, I use Paint.NET. Paint.NET is free, powerful and fun to use. I use it for all of my logo design (which is often based off of icons found at iconfinder). I love handbrake because it automatically removes the black sidebars from videos if I’m doing something complex and mess up the ratio by accident. Ethervane Echo is a free clipboard manager that I had no idea I needed until I started using it. The fast search functionality is awesome and more than once it’s saved me after I deleted a script by accident. Once I was able to find the entire script (I have a habit of Ctrl-A, Ctrl-C) and another time, I was able to easily stitch it back together from a few different clips. If you haven’t used a clipboard manager, give it one day and I think you’ll be addicted. The developer’s site is undergoing a redesign right now, but you can download Ethervane Echo directly from Internet Archive. spaghettidba introduced me to this one. zoom.us is lightweight, reliable and cool Video Conferencing software. Installing it is quick and the quality is super high. I always try to use it now when practicing with fellow presenters, all for free. Of course! I use dbatools every day. Just yesterday, I had to add a Windows Group to all of my servers and LOOOOOOOVED how easy it was to do with New-DbaLogin. Currently, I’m a huge fan of all the XEvents support, too. Also, now I don’t fear migrations or worry that my disaster recovery plan is solid. dbatools helps simplify all of that. I’ve dreamed of a tool like dbachecks since I was younger. Now, we’ve got all of our checklists in one place. And since it’s free and open-source, other DBA’s have been adding their own checks, which is amazing. I’m looking forward to adding a few more audit checks once I can come up for air, likely after dbatools 1.0 debuts. So I haven’t used this free cross-platform SQL Management client, teamsql.io, yet but it looks good AF. Not necessarily for SQL Server, but useful if you need to manage Postgres, Redshift, Oracle or whatever. In the past, I was always horrified by how ugly other management interfaces were compared to SSMS, but this one is nice. Thanks for reading! Gotta go. Terrific list. I’ll have to try some of those. While “Everything” for file search looks good, I’d highly recommend FileSeek (https://www.fileseek.ca/) as an alternative. It is also super fast at file/folder name searches but also does content search extremely well and fast. It lets you filter by file type, does regular expression searches and shows found text, in context, in a preview pane. The author has relentlessly crafted and improved this for years based on user suggestions (even mine!). So, check it out. 1 Pings/Trackbacks for "TSQL2SDAY #101: Essential SQL Server Tools"